Johnny Bravo is without a doubt one of the most iconic television cartoons from the late 1990s to the first five years of the 21st century. Even today, more than a decade after the show's last season, hundreds of television networks from all over the world still regularly air reruns of the popular animated show. Johnny Bravo's image is itself an icon. The yellow brushed-up hair. The dark sunglasses. The black t-shirt. The bulging muscles. The character's easily recognizable even from miles away. Even today, the show is a mainstay in Philippine television, entertaining children and adults alike on Saturday and Sunday mornings. But here's a bit of information that the millions of Filipino fans of the show probably don't know. Johnny Bravo was created by a Filipino. His name is Van Partible and he started working on the character while studying at the Loyola Marymount University in Los Angeles, California. He was born in Manila but his family migrated to the United States in the 1970s while he was still a baby. The show had its beginnings in Loyola Marymount University. Partible was working on his senior thesis project which he called Mess O'Blues. The animated film was about an Elvis impersonator. After graduation, Partible didn't have the experience nor the portfolio to be accepted in the animation studios so he started working in a daycare program for a local elementary school. Things changed when Partible's animation professor, Dan McLaugglin, showed Mess O'Blues to a friend of his that worked for Hannah-Barbera Cartoons (an animation studio). The studio loved the film and they eventually asked Partible to create a series of cartoons based on it. And so Johnny Bravo was born. The rest is history. 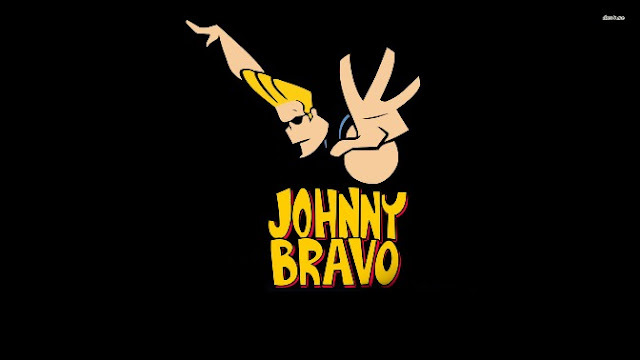 Why was the show named Johnny Bravo? According to Partible, the name came from an episode of the American sitcom The Brady Brunch. The episode was called Adios, Johnny Bravo. Interestingly, Partible's full name is Efrem Giovanni Bravo Partible. Giovanni is an Italian name for Johnny. That said, the show's name was also derived from the creator's full name. 1) Seth MacFarlane was part of the crew for the show's first season. MacFarlane is the creator of Family Guy, American Dad!, and The Cleveland Show. He also directed the comedy films Ted, Ted 2, and A Million Ways to Die in the West. 2) The series has received seven nominations from the Annie Awards, YoungStar Award, and Golden Reel Awards. The show didn't win any of these nominations. 3) A video game based on the series called Johnny Bravo: Date-O-Rama! was released for the PlayStation2 and Nintendo DS gaming consoles. 4) In 2002, Warner Brothers Pictures secured the rights to a live-action film based on the show. Dwayne "The Rock" Johnson is being considered to play the character.